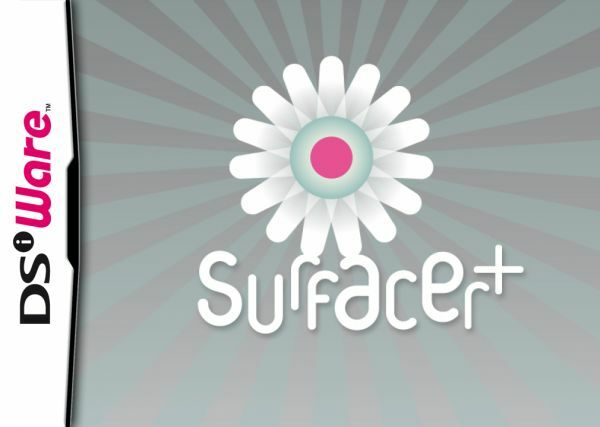 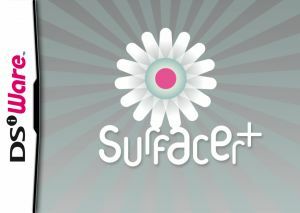 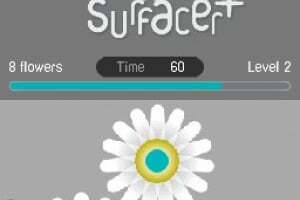 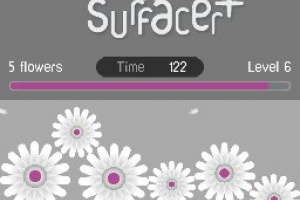 Surfacer+ is easy to pick up and has totally innovative game play that's suitable for all gamers – casual and hard-core alike. 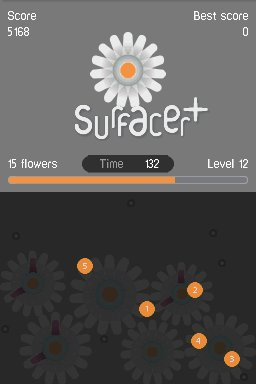 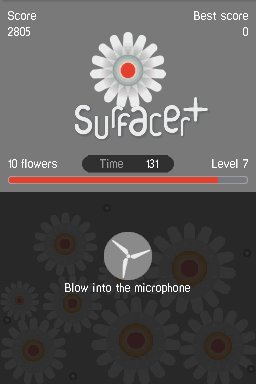 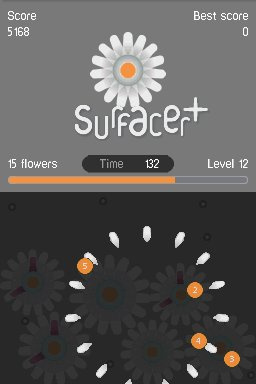 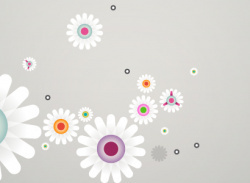 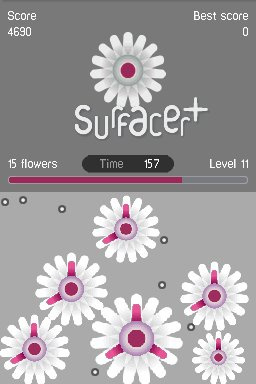 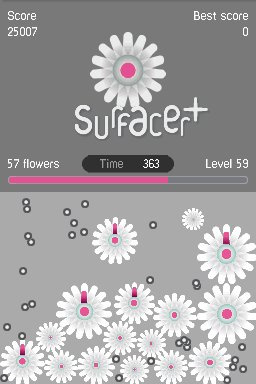 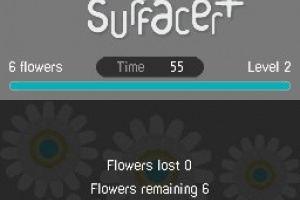 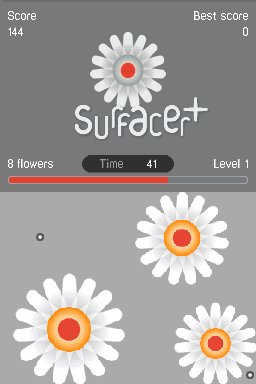 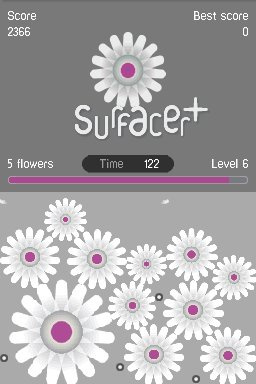 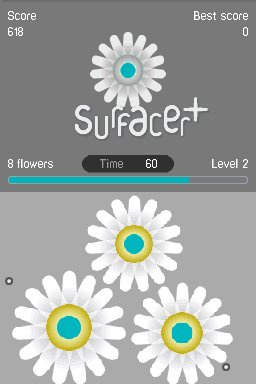 Fill the screen by producing white flowers with your stylus. 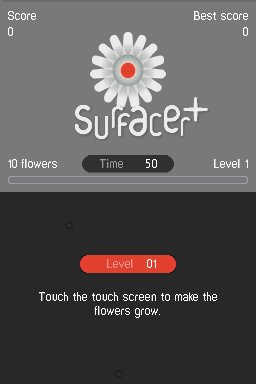 Control the size of your flowers and use the bonuses at the right moment. 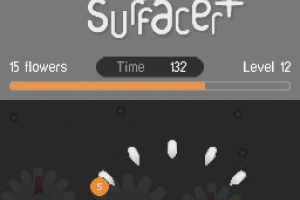 Watch out for enemies who pounce from either side of the screen. 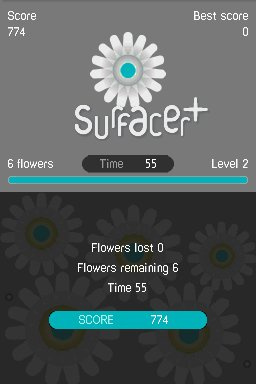 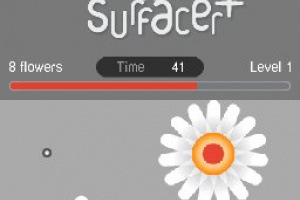 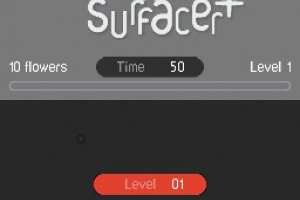 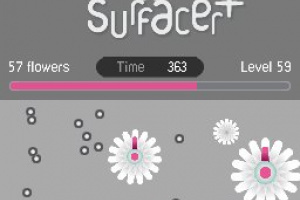 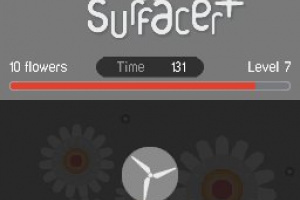 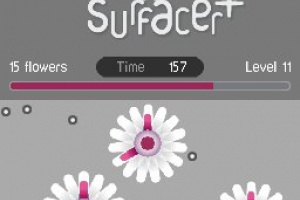 Surfacer+ will test your skill, strategy and insight. 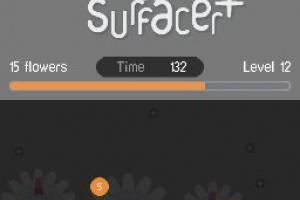 How far will you go to cover the screen?